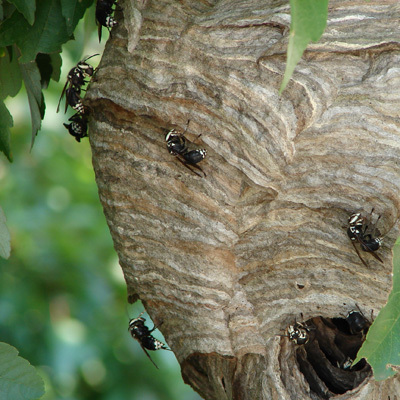 We have all heard the expression “Don’t stir up a hornets nest!” There are good reasons. 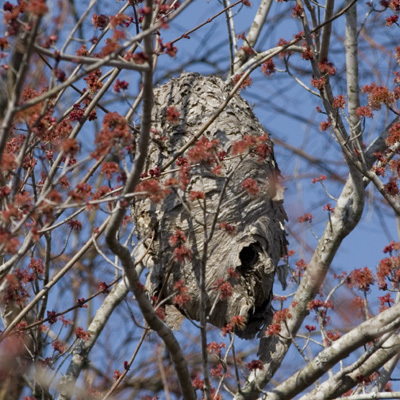 Hornet’s Nests are found throughout our region of Georgia and South Carolina. They may may seem harmless enough at a distance but they can swarm in an attack on those that would disturb them. 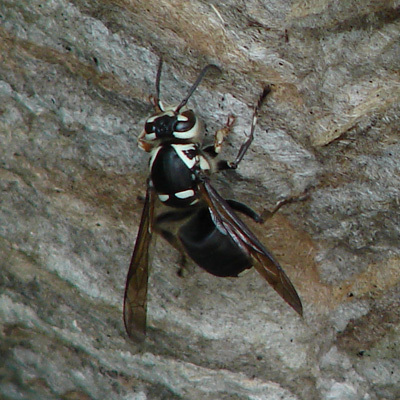 Many a woodland visitor has been intrigued by the football shaped growth in trees and been prompted to further investigation by throwing rocks or sticks at the home of this ferocious insect. If they are lucky they have stumbled on an abandoned nest but more likely they will be greeted by a swarm of these stinging insects. Prudence dictates leaving these creatures in peace.